Home>New Songs>Murs Songs> Murs - My Own Parade Feat. ¡Mayday! Back when Murs signed with Tech N9ne's Strange Music imprint earlier this year, fans began to wonder how the backpacker's style would fit on a label famed for rock-based instrumentals. Well, if ¡MURSDAY! is an indication, the answer is, frankly, pretty damn well. Backed by Florida-based band and label mates ¡MAYDAY!, Murs sounds as comfortable working with alongside emcees Wreckonize & Bernz as he did with Fashawn back in 2012--maybe even more so. This marks the second LP released by Strange Music this year, with May's acclaimed Strangeulation selling over 50,000 copies. Overall, it's looking like a good year to be independent. ¡MURSDAY! is in stores now. Like what you're hearing? Be sure to pick it up! 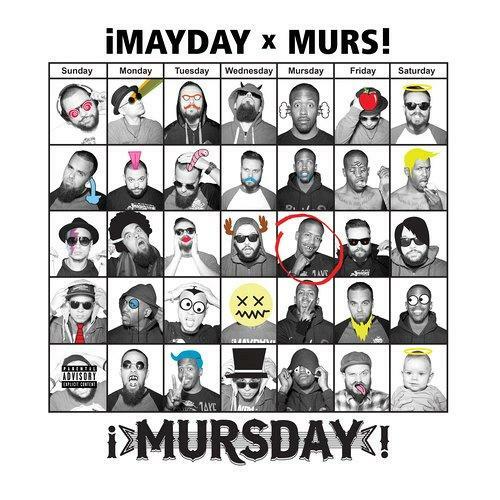 SONGS Murs - My Own Parade Feat. ¡Mayday!